While interior painting remains a hot DIY project, exterior painting projects should always be left to the professionals. Beyond cleaning your siding, covering windows and doors, caulking the trim and choosing a paint that can stand up to the elements, there’s also a safety concern. Luckily, there are exterior painters near you ready and eager to paint the outside of your home. 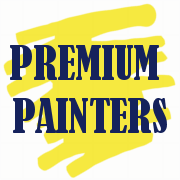 Compare reviews, portfolios, experience and more from the group of local exterior house painters below. When you’re ready, ImproveNet can connect you with the top exterior painting services near you. The best exterior house painters near you are listed below. Despite seeing their experience, reviews and service areas, you should always get at least three exterior painting estimates. As expected, exterior painting companies have different tendencies. Some like working in the morning and others like working at night. Some ask for half payment up front and others ask for all at the end. Some exterior painting contractors like to communicate via text and others like to talk on the phone. In addition to addressing these questions, all exterior house painters must see the home before they can offer an accurate exterior painting quote. Professional painters do not require a license, but they should have insurance. If the potential exterior house painter has painted other homes in the area, ask for their reviews. If the exterior painter does not have a website, ask them for an exterior painting portfolio. Experienced exterior house painters charge more than inexperienced painters. Always ask them how many residential painters are in their crews. If they only have one other painter, your exterior painting project may take longer than you expected. Most exterior painters near you ask for half payment up front and the balance at the end. Exterior paint jobs range between two and seven days. Exterior painting projects cost between $2,000 and $4,000, with all supplies and labor included. If a cheap painter near you offers less, their quality will not be as good as the other exterior painting companies. Painters can buy the paint for you. Sometimes they will charge you more, since they got it at a discount, but other times, they won’t. Either way, ask your potential exterior painters how they prefer to handle the paint purchasing. Make sure your exterior painting contract details exactly when payments are due and when the project should be completed. Since most exterior painting decisions come down to cost (and design), it helps to know the average exterior painting costs near you. As we outlined in our exterior painting cost guide, the average cost to paint a home exterior is roughly $2,500. This includes paints and labor.